Queen Elizabeth II is reportedly preparing to invite President Trump for a formal state visit to Britain in June, which would coincide with the 75th anniversary of the D-Day invasion. “Downing Street officials have been in secret talks with their White House counterparts about the timing of the visit since late last year and are expected to make a joint announcement within days, according to senior Whitehall sources,” the Sunday Times of London reports. The visit is likely to coincide with the 75th anniversary of D-Day when Trump also plans to attend an event in France to commemorate the liberation of the country by the allied forces during the Second World War. Trump and first lady Melania visited England in July 2018, but that was not considered a formal state visit, in which a royal banquet accompanies other events, including a military welcome. During that trip, Trump met with the Queen at Windsor Castle, had dinner at Blenheim Palace with Prime Minister Theresa May, received a royal salute from a Guard of Honor, and had high tea, which Melania also attended. But that visit was not officially hosted by the Queen. Trump was set to attend the opening of the new U.S. embassy in London in February, but he canceled his visit, citing the “bad deal” behind the building. 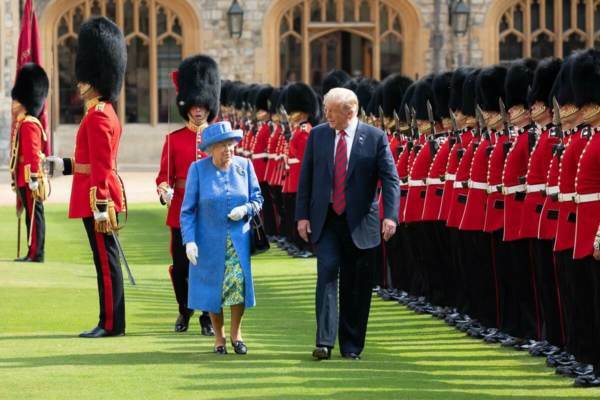 The post Queen Set to Invite President Trump for State Visit During D-Day in June appeared first on The Gateway Pundit.